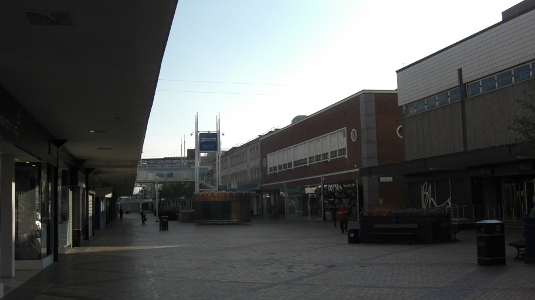 The bustling rush hour at the MerseyWay Shopping Centre in Stockport at 1750 on 29 May 2012. I can see one person (maybe even a second) in that picture! That’s really busy for a Tuesday!